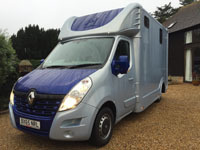 We now have the latest tracking technology on board both horse boxes. You can track your horse/s journey from start to finish. You can see route taken, how fast the lorry has travelled, hold up/traffic delays, time expected to reach destination, stops made etc. You now have complete peace of mind, knowing exactly where your horse is and when it will arrive. 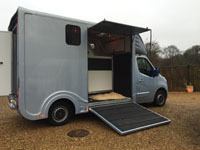 All customers will be given a text link to follow when the horse/s are loaded and can then fully monitor the horse/s journey very easily from a smart phone or computer. We know our customers will appreciate and love this new technology. 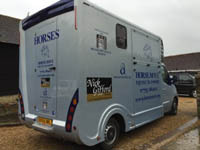 We currently transport race horses for Nick Gifford Racing, amongst others. Stud work is a speciality and our partition is fully movable to allow plenty of room for mare and foal. We are proud to transport for the “Billy Stud”. Show for Show jumping, Dressage and Eventing. We supply a full range of services for clients with show jumping horses, eventers and dressage horses. Our aim is to provide you with an effective, safe, reliable and friendly door to door service. 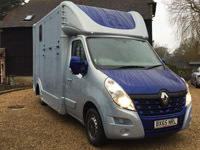 Should your horse require emergency veterinary care HorseMove is available 24 hours, 7 days a week to transport your horse to the vets. We also can take your horse to vets for routine investigation and procedures. 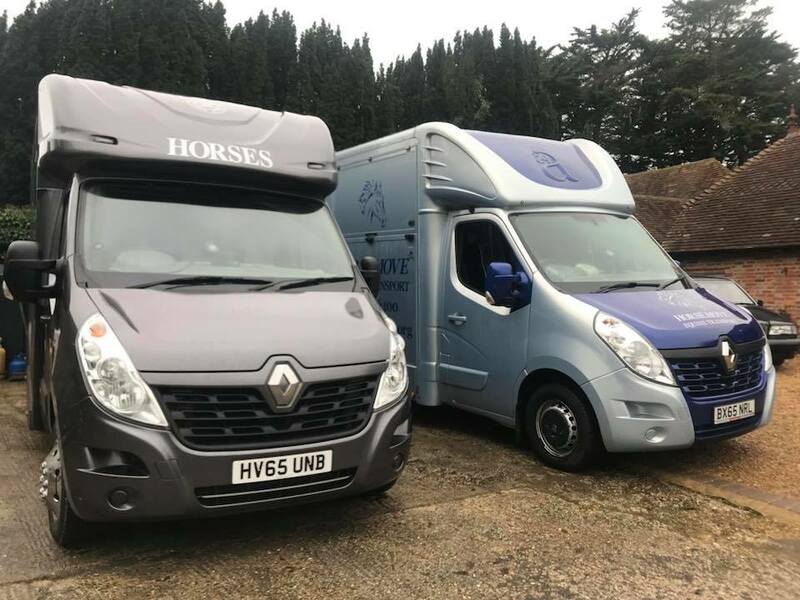 We are registered with Equity Red Star and PRP Breakdown who also use our services so if you should break down HorseMove will come and collect your horses and transport them to their yard. We are also registered with Sussex police to carry out breakdown or rescue services. or use the contact form on the Enquiries and Bookings page. From time to time we have special offers or last minute transport availability so please keep a watch.